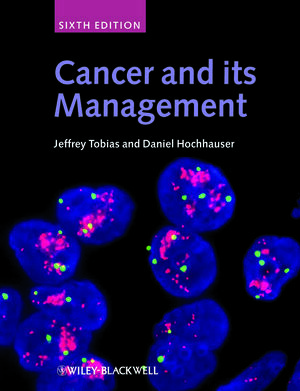 1 The modern management of cancer: an introductory note. 2 Epidemiology, cure, treatment trials and screening. 6 Systemic treatment for cancer. 7 Supportive care and symptom relief. 8 Medical problems and radiotherapy emergencies. 10 Cancer of the head and neck. 11 Brain and spinal cord. 12 Tumours of the lung and mediastinum. 14 Cancer of the oesophagus and stomach. 15 Cancer of the liver, biliary tract and pancreas. 16 Tumours of the small and large bowel. 20 Thyroid and adrenal cancer. 21 Cancer from an unknown primary site. 23 Bone and soft-tissue sarcomas. 27 Myeloma and other paraproteinaemias. Comprehensive, well-established and practical reference source of both common and rarer forms of cancer with new two-colour text design. Includes up-to-date information on the most recent techniques and therapies available. Covers controversial topics including screening, genetic testing, prevention and AIDS-related cancers. Provides the reader with fundamental knowledge about oncogenes, epidemiology and staging, through to basic actions of different treatment modalities.